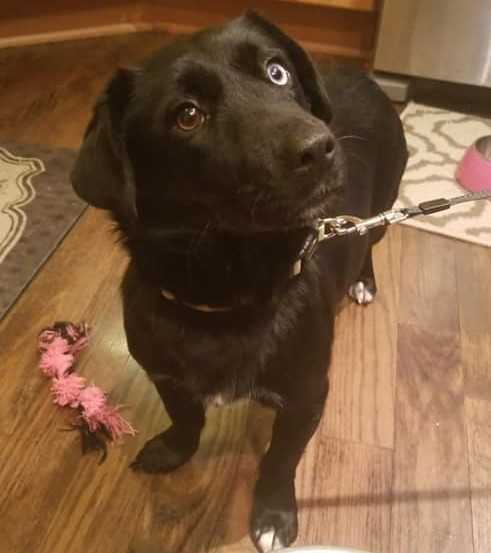 This cute little 1 year old lady has short legs so we think she may have some corgi in her along with labrador. One thing we know for sure is she is happy, friendly and loves to snuggle! And she has two different colored eyes which just adds to her unique personality.